The Emily Dickinson International Society will hold its 2014 annual meeting program in Amherst, Massachusetts, from August 8 to August 10. 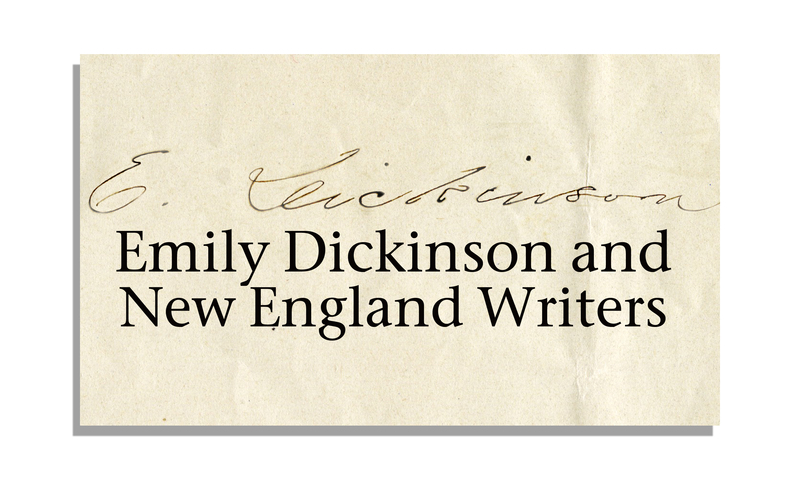 This year’s theme is “Emily Dickinson and New England Writers.” The program, cosponsored by the Emily Dickinson Museum, will include presentations and activities related to the topic for all participants as well as an institute format for participants who have submitted papers on the theme for discussion in critical workshops. A preliminary schedule follows, and members are advised to check the EDIS website for the most up-to-date information as the weekend approaches. We hope to see many of you there! To register for the Meeting, click here. Those who prefer may download and mail the registration form. For information on lodging options during the annual meeting, click here. For a map of the Amherst College campus, click here. For information about the exhibits at the Frost and Jones Libraries, please click here. Participants can select to attend either “Emily Dickinson and Henry David Thoreau” led by Nancy and William Pridgen (EDIS San Antonio chapter) or “Emily Dickinson and Elizabeth Strout” led by Lois Kackley and Greg Mattingly (EDIS Amherst Chapter). For more information on the discussion workshops, click here. 1:15-4:00 pm Free Time to Visit the ED Museum, to Take a Self-Guided Walking Tour of Amherst Writers’ Homes, or to explore the exhibition at the Jones Library. 5:00 pm-?? Join EDIS Board Members for Happy Hour followed by dinner on your own. Good evening! I am a professor of English and Literature from Colorado Springs, Colorado, who is interested in attending this August's meeting/workshop on Emily Dickinson, including the guest speaker presentations if possible. Would someone send me information about conference costs so that I can apply for professional development funding from my institution? Thank you very much. I can be reached at janele.johnson@ppcc.edu.